“Youth Present 2014” – Organized by ICT Academy of Tamil Nadu, is a National level Presentation Contest for Students. 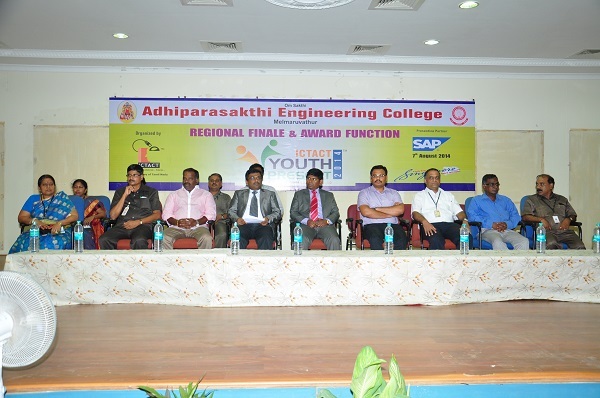 The Regional Finale for the Tamil Nadu North Region was hosted by Adhiparasakthi Engineering College. The Juries for the contest from variegated industries. Dr. Anand Gurupatham, Senior Manager, Renault Nissan Technology and Business Centre. Mr. B. Shankar, Associate Vice President, Polaris Software Ltd.